To date it’s been Apple that has come under fire for the draconian vetting process prospective applications have to endure to make it into the App Store. 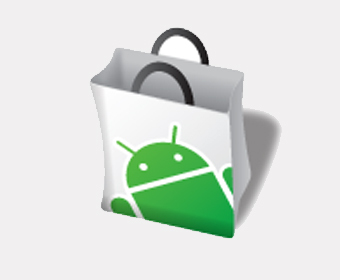 But this week Google is taking flack from the developer community after banning a tethering application for Android. Seth Lemons, one of the developers of the Wifi Tether app for the Android platform has had his program banned from the Android Market by the Open Handset Alliance (OHA) for violating the Android developer distribution agreement and T-Mobile’s terms of service. Tethering is one of those troublesome technologies that has already run into trouble with Apple because it allows a users to connect another device, such as a laptop to their handset via wifi and surf the web using the 3G data connection. However, the operators carrying both the iPhone and the Android G1 device have terms and conditions which state that the accompanying data connection is to be used on the handset only, and users connecting via tethering will be kicked off the network. When the iPhone App Store first launched in 2008 one of the first apps to be removed was the NetShare application by Nullriver, which allows users to tether their iPhone to their PC and use the device as a 3G modem, but violated AT&T’s terms and conditions. The developers of the Android tethering app seem disappointed over the OHA’s decision because Android is pitched as a totally open platform. “This raises some interesting questions about this “open” platform. Android phones are supposed to be released for other carriers in the future, right? Does this mean that apps in the Market have to adhere to the ToS for only T-Mobile, even when other carriers sign on? Will all apps have to adhere to the ToS for every carrier that supports Android phones? Why is all of this enforcement Google’s job, in the first place? If T-Mobile wants to force people to pay for broadband plans in addition to their phone data, it’s their job to either make that attractive to users or strongarm them into it by, say, instituting data caps,” said Lemons. Vendor and carrier attitudes seem to be changing however. Apple recently revealed that it is working with operators that carry the iPhone to allow tethering in the upcoming version 3.0 release of the iPhone firmware. Well, T-Mobile thinks and behaves like they were a single Monopolist (e.g. Etisalat in many Asian and Middle Eastern Countries) and had a chance to improve by spying on people, censorship and lasts but not least trying to kill VoIP and similar innovations.